The Seaboard Coast Line was a short-lived conglomerate formed through rivals Atlantic Coast Line and Seaboard Air Line in the summer of 1967. The union proved far more successful than the Penn Central Transportation Company created just a year later. 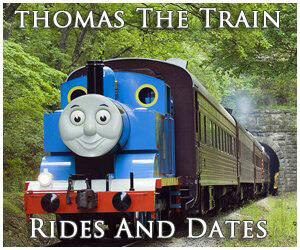 That ill-fated marriage was brought about by the New York Central and Pennsylvania railroads. It was an immediate failure. Seaboard Coast Line was planned and implemented much more successfully as the two roads launched talks more than a decade before actually carrying out their plan. This eliminated the immediate chaos Penn Central experienced. The two roads were also healthy going into the merger unlike the Central and Pennsy. Noteworthy was the Atlantic Coast Line, arguably as rich as the affluent Southern Railway. It also owned two other profitable carriers, the Louisville & Nashville and Clinchfield. The SCL survived only fifteen years before officially disappearing into Seaboard System, and then CSX Transportation, during the 1980's. The idea which became Seaboard Coast Line began, officially, on September 29, 1958. On that date, according to the article "ACL + SAL = SCL" from the October, 1964 issue of Trains Magazine, the two companies officially announced their intentions to merge. Nearly two years later, in July of 1960, they petitioned the Interstate Commerce Commission to create the Seaboard Coast Line Railroad Company. A consulting firm stated the new conglomerate could generate a net savings of $24.2 million annually. This set off a series of hearings by the ICC, an era in which it was notoriously slow in vetting unions (so slow in fact that the length of time in approving a potential Rock Island - Union Pacific union that decade witnessed the former road deteriorating to a point UP was no longer interested). On December 13, 1963 the agency gave its approval and another four years passed before the new railroad officially launched on July 1, 1967. A monster, the Seaboard Coast Line totaled more than 14,700 route miles. Included below is a brief history of the two primary railroads which created SCL. 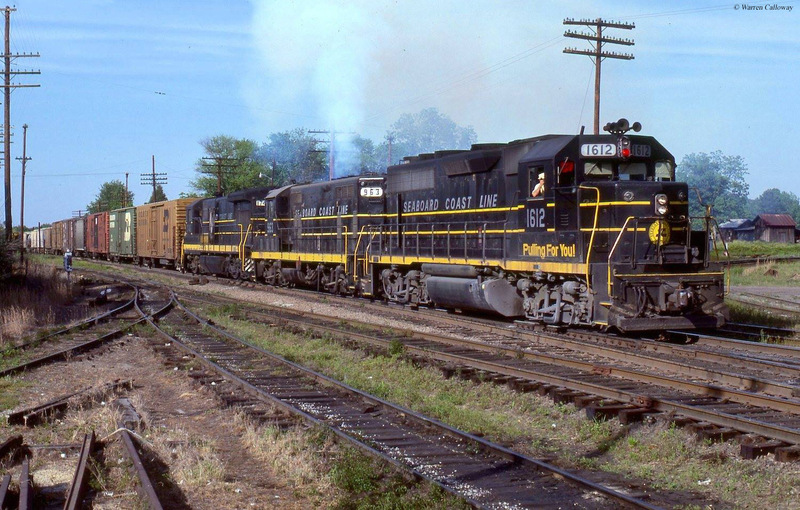 Clinchfield Railroad, "Quick Service-Short Route"
Richmond, Fredericksburg & Potomac, "Linking North & South"
The first component of SCL was the Atlantic Coast Line, which served points from Virginia to Florida and stretched as far west as Birmingham, Alabama. 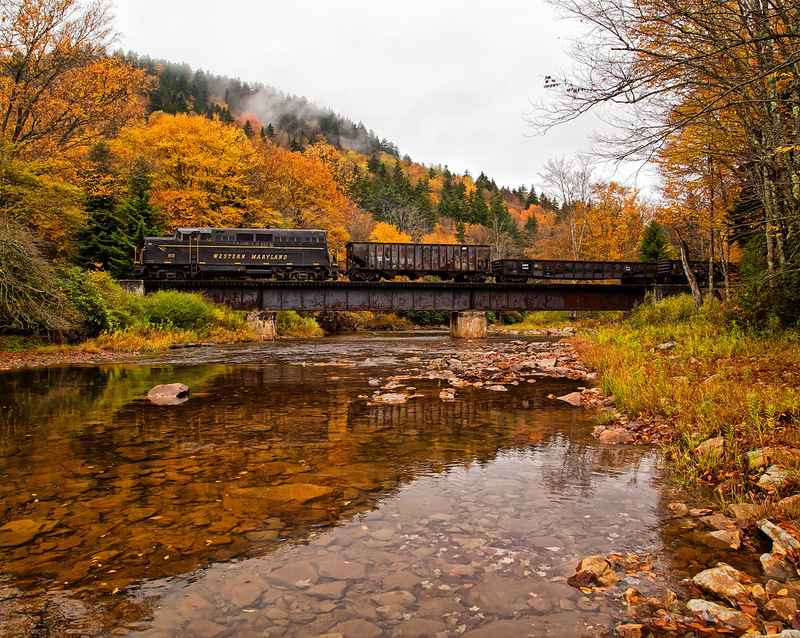 The railroad was a money-maker, operating a double-tracked, north-south main line along the east coast. It also held one of the most unique paint schemes of any Class I of striking Royal Purple with silver and yellow trim (eliminated for a simpler livery in the late 1950's). Remembered in the likes of the Southern, the ACL was a highly respected operation blessed with excellent management that avoided financial difficulties. The Coast Line began its life like many classic roads, pieced together through a series of mergers. Its earliest predecessor was the Richmond & Petersburg chartered in 1836. After linking with the Petersburg Railroad the two provided a through connection from Richmond to North Carolina. During the 19th century many additional small lines came together to form the modern ACL including the Wilmington & Weldon, Wilmington & Raleigh, and North Eastern. They served points between South Carolina, North Carolina, and Virginia including the ports of Wilmington, North Carolina and Charleston, South Carolina. The Coast Line, itself, took shape under William Walters, a Baltimore investor. 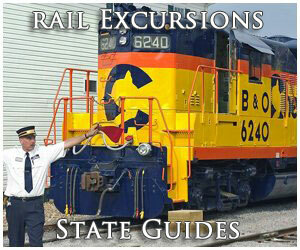 In the late 1800's his railroads were placed under the holding company, Atlantic Coast Line. As each original carrier was merged into the new ACL it continued expanding through the 20th century. 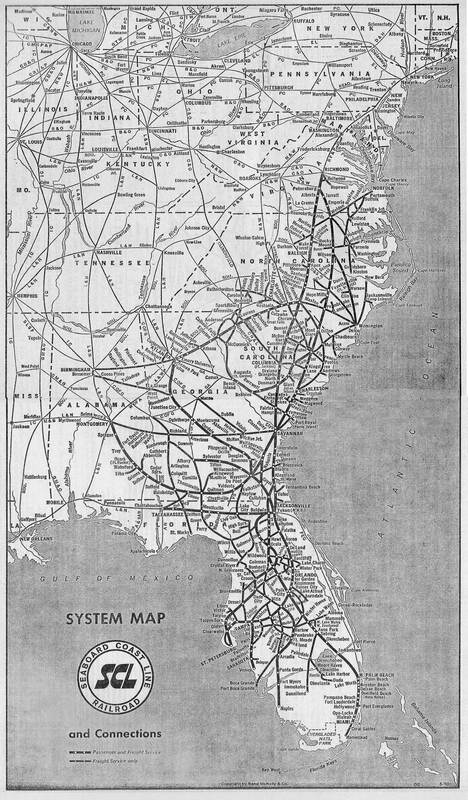 Of note was The Plant System, a series of railroads running throughout Georgia and Florida. In 1902 it took control of the Louisville & Nashville, which linked Kentucky with the Gulf Coast (Chicago was reached years later), but retained its identity. The final segments joined the network during the 1920's when the Atlanta, Birmingham & Coast was acquired, offering access to Birmingham, Alabama. In all, the ACL was a giant railroad serving nearly every major southeastern market from Kentucky and Virginia to Alabama and Florida. Its peak route mileage stood at more than 5,000 (including subsidiaries this number was greater than 12,000). When the markets collapsed in the fall of 1929 the ACL weathered the storm through excellent management and frugal financial practices despite freight traffic falling by more than 50% and passenger traffic 60%. Following these lean years it focused on upgrading its network and generally improving business. 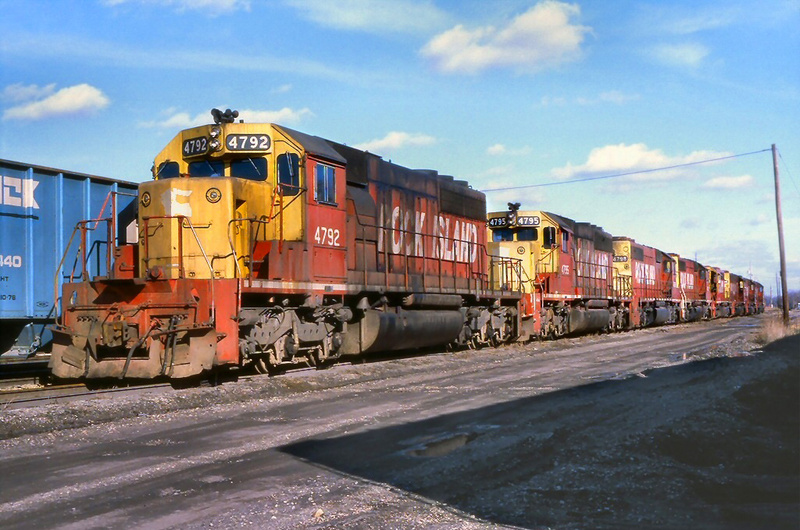 By 1955 the railroad had fully dieselized, purchasing locomotives from Electro-Motive, General Electric, and Alco. As profits soared it completely double-tracked its main line between Florida and Virginia. In addition, Centralized Traffic Control and automatic block signaling protected most of its network. By the post-World War II era the Coast Line had blossomed into a true, high-speed highway with freights averaging 50 mph and passenger trains clipping along at 100 mph. The latter thrived for years thanks to its well-positioned routing linking the Northeast with the sunny beaches of Florida. Business did decline after the war but remained strong enough that its top trains maintained strong ridership and continued earning a profit through the 1960's, a rarity by that time. As a result it’s interesting to wonder what the future may have held for the company had the railroad not merged. Alas, this was the ACL’s fate like so many others during the same period. Mergers, if planned and implemented correctly can save a railroad millions of dollars down the road, the reasoning behind the marriage with the Seaboard. Such efforts would pay off as the new Seaboard Coast Line, which began service officially on July 1, 1967. The Seaboard Air Line is perhaps best remembered as a somewhat smaller version of the Atlantic Coast Line; everywhere the ACL went seemingly so too did the SAL. 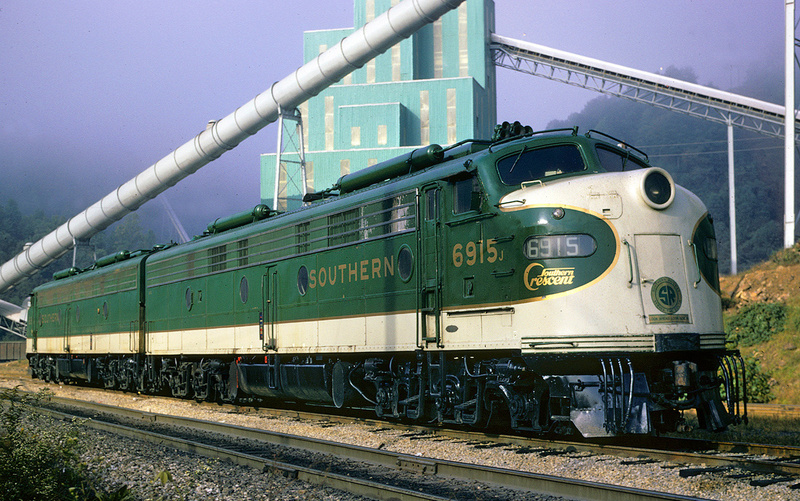 The Seaboard held its own with its fiercest competitor and after managing to pull through troubled waters provided quality freight transportation throughout the Southeast during its latter years. After more than a century of service and continued competition the two finally merged in the late 1960's forming the Seaboard Coast Line. After a few additional corporate changes the former Seaboard Air Line property became part of today's massive CSX Transportation system. Today, its remaining network is operated by the Class I and various short line carriers. Like so many classic railroads the SAL was derived through several smaller lines which merged over the years. Its origins begin with the Portsmouth & Roanoke Rail Road, chartered in 1832 to connect Portsmouth, Virginia with Weldon, North Carolina. The system was later reorganized as the Seaboard & Roanoke in 1846. Other early components included the Raleigh & Gaston Railroad (connecting Raleigh and Gaston) and the Raleigh & Augusta Air-Line Railroad (this system stretched south from Raleigh to Hamlet). Together these formed the backbone of the later SAL. They all came together under John Robinson who acquired the trio and merged them into the new Seaboard Air Line. Throughout the rest of the 19th and into the early 20th century the Seaboard expanded north and south reaching cities such as Richmond, Norfolk, Wilmington, Charleston, Atlanta, Savannah, and points west in Alabama. It also built one of the last major main lines when it completed an extension to Miami in 1927. At its peak the railroad was a 4,000+ route-mile system. The Seaboard’s transition into a major southeastern competitor began after it fell into receivership following the Great Depression, emerging after World War II as the Seaboard Air Line. The railroad began to aggressively upgrade its system and reduce expenses by purchasing new diesels, rolling stock, and implementing Centralized Traffic Control (CTC) along its single-track main line. By its late years the Seaboard had a quite diverse freight traffic base which included everything form agriculture and aggregates to cement, perishables, and iron ore. The railroad likewise was one of the first to champion the trailer-on-flat-car (TOFC) concept in 1950. 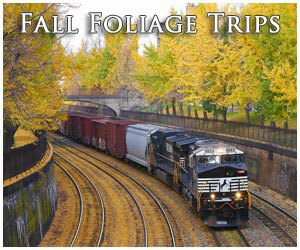 It also holds the distinction of being one of the relatively few railroads to name its premier freight trains. 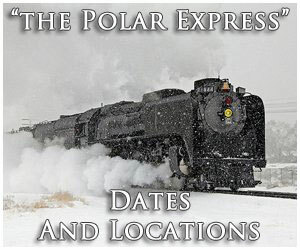 The SAL operated an extensive and popular passenger train fleet including famous trains such as the Orange Blossom Special, Silver Meteor, and Silver Star (the SAL also had a number of seasonal trains). 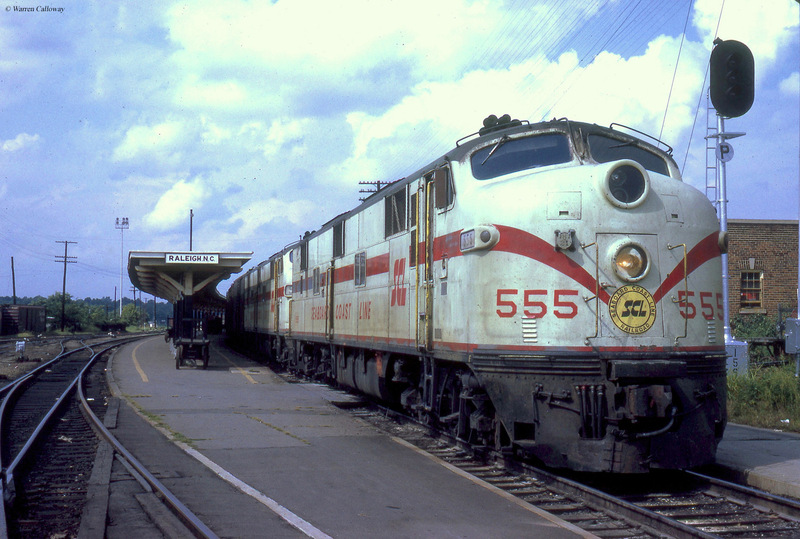 The railroad offered top-notch service and was one of the few to continue doing so such right up until the end when Amtrak took over operations in 1971. Because of this and the markets served a number of trains soldier on today including the Silver Meteor and Silver Star. By the 1950's the SAL and ACL began to understand that because they operated in virtually every market a merger would be beneficial to reduce duplicate facilities and trackage. The union was completed in 1967. Passenger services continued on under the Seaboard Coast Line until Amtrak in 1971. 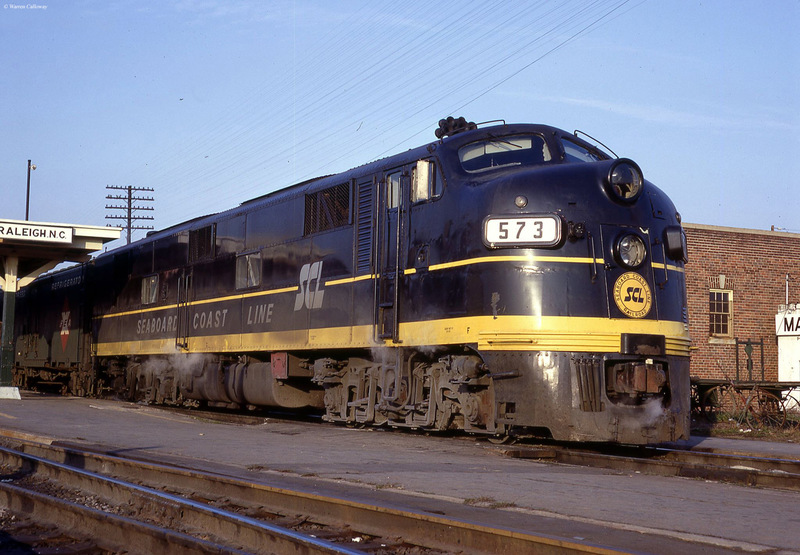 However, the new railroad gave up the colorful liveries of the SAL and ACL for a more muted standard black and yellow scheme similar to that employed in the Coast Line's last years. As for itself, the SCL only kept this scheme for a few years before adopting the grey, yellow, and red "Family Lines" scheme in 1972. A marketing tactic only it was employed by several railroads, notably the Louisville & Nashville, Clinchfield, and a number of other smaller lines. The moniker held no corporate power until December 29, 1982 when the group was formally merged into Seaboard System. 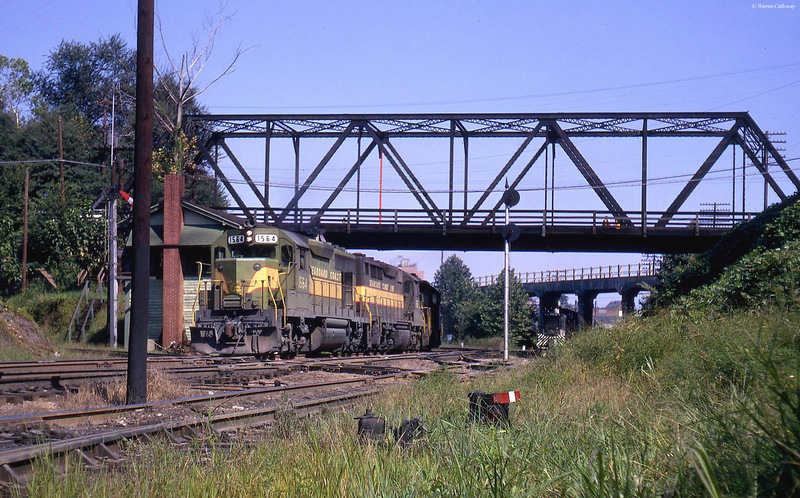 The holding company, CSX Corporation, had been created on November 1, 1980 to eventually merge the Seaboard roads and Chessie System lines into a new company. 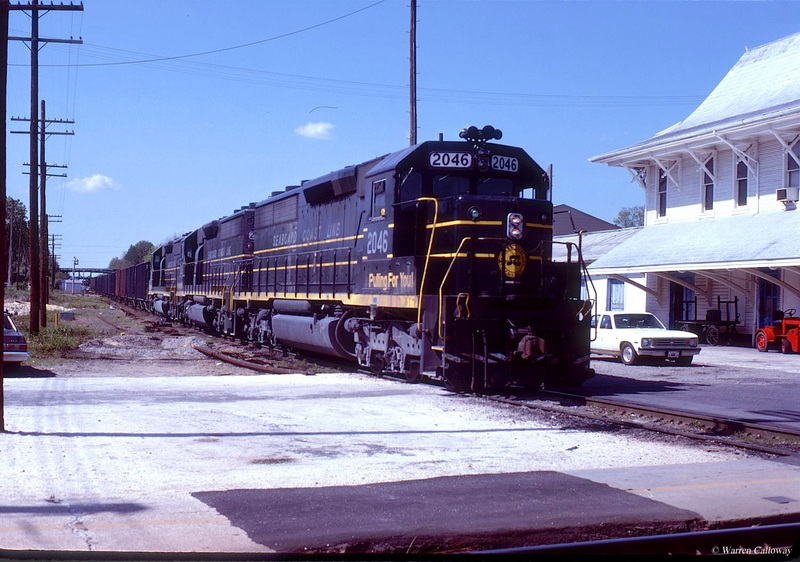 That railroad was formed on July 1, 1986 when CSX Transportation (CSXT) was born. It immediately absorbed the Seaboard System roads while the Chessie's subsidiaries, B&O and Chesapeake & Ohio, disappeared a year later in 1987 (the Western Maryland had vanished in 1983).